yuck that just curls my poo!! 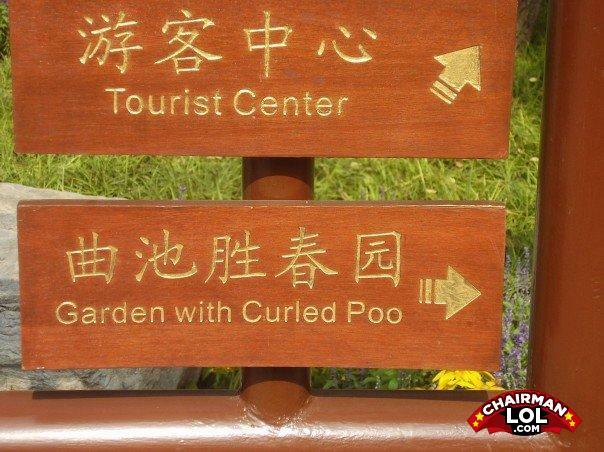 Hm, Tourist Center or Garden of Curled Poo? Yeah, that's pretty much a no brainer. Hmmm I've seen plenty of tourist centers.....but never a garden with curled poo! as opposed to straight poo. The past, the present and the future walk into a bar. It was tense.